New Years resolution: Start a regular singing warm-up regiment with Voice Lessons To Go!! Hello singers! We all can get into those slumps by the end of the year with ourselves, whether it be our exercise, good eating, organization, or even our regular singing routine. 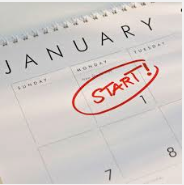 Well, here I am, to give you a friendly singing teachers nudge to get you back into a great healthy singing routine just in time for New Years. If you follow this regularly, you should be humming sweetly very soon! I am always blogging, teaching, and talking about how being a good singer is akin to being a good athlete. Your healthy singing voice is contingent on the correct muscles in your body being in shape to support your larynx. This way your voice can sail freely through the air without any undue stress on your vocal chords from incorrect muscle use. Finding the path to the perfect support system in your singing is a daily task and can easily be thrown off without proper attention. The key to maintaining healthy proper singing is a good healthy vocal warm-ups done regularly. 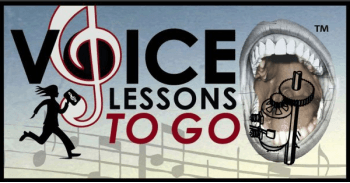 Voice Lessons To Go, www.voicelessonstogo.com offers you four of those healthy singing warm-ups on CD for your use anytime, anywhere. So there is no excuse!! Remember, if your practice regiment has been shut down for a bit, you need to ease back into a regular singing schedule to protect your voice- just like you would re-enter any sport. Start slow, warm-up (vocalize) every time before you sing. You can add a little bit more to your range, practice time, and challenge as your stamina naturally increases. NEVER PUSH OR STRAIN THE VOICE. For those who read music and like to sit at the piano to warm-up, all 4 volumes in the box set are available in my book Vocalize!- the sheet music transcription of Voice Lessons To Go. If you are coming from a really tired, over-taxed, or recovering voice then start out with my CD Vocal Repair. Do this program until your voice feels healthy and then begin in with v.1 Vocalize and Breath and continue from there. Now get to that ipod, piano, car, or stereo and start singing!